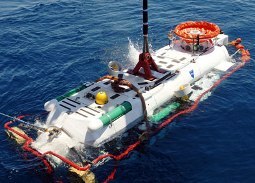 “DSRV” is a Naval and/or marine acronym for Deep Sea Rescue/Recovery Vehicle. It is a small, but very sturdy, submersible vehicle used to rescue people and recover equipment trapped deep below the ocean surface. Operating on a similar principle, AccessQMS provides a business version DSRV (Deep System Recovery Vehicle) for the purpose of recovering burden costs to the bottom line when maintaining your management system(s). See The DSRV Process.